Pre-calculus uses the information you know from Algebra I and II and ratchets up the difficulty level to prepare you for calculus. This cheat sheet is designed to help you review key formulas and functions on the fly as you study. It includes formulas, the laws of logarithmic functions, trigonometric values of basic angles, conic section equations, and interval notation. Pre-calculus requires a thorough understanding of the topics covered in Algebra I and Algebra II, along with some of the basic concepts of calculus. In solving pre-calculus problems, a number of formulas come in handy. 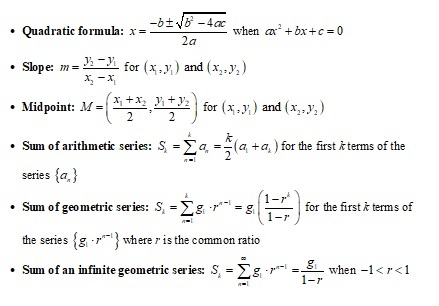 The following list collects some of the more difficult-to-remember formulas for your convenience and for ease of study. Among the trickier aspects of pre-calculus for beginners to remember are the rules for exponents and logarithms. Exponents, of course, indicate the operation of raising a number to a power, or in other words, of multiplying a number by itself. 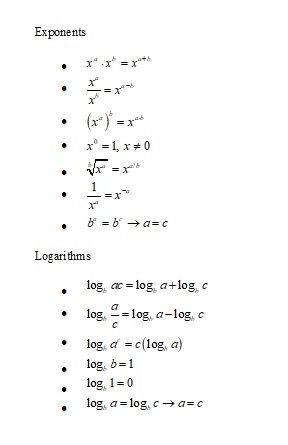 Logarithms are simply another way to write exponents: Exponential and logarithmic functions are inverses of each other. For solving and graphing logarithmic functions (logs), remember this inverse relationship and you’ll be solving logs in no time! 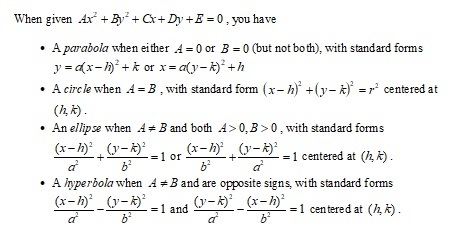 The following lists describe the basic rules for each. Of course you use trigonometry, commonly called trig, in pre-calculus. And understanding the trig values of common angles is an important part of solving trig problems. 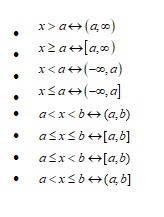 The following table shows the basic values for each. In pre-calculus you deal with inequalities, and you use interval notation to express a solution set to an inequality. 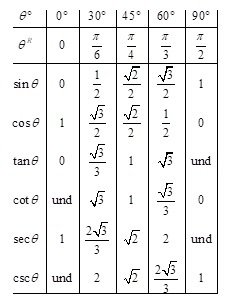 The following list shows how to format solution sets in interval notation.